Want Healthier Hair? Deep Clean Your Hair Straightener Using This Super Easy Hack! 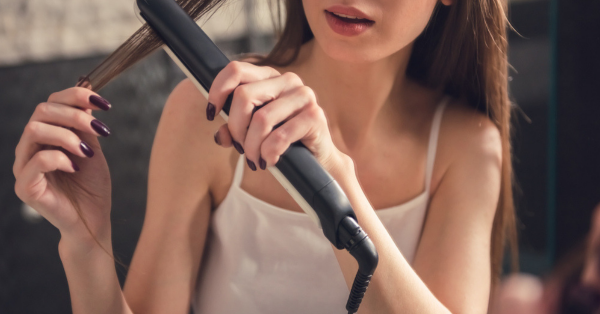 Did you know that a dirty hair straightener or any dirty hair tool can cause harm to your hair? Think about it, before using your hair iron or your hair curler, you may drench your hair in hair serum or heat protectant. 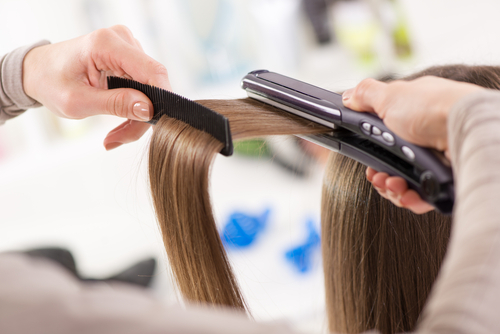 While styling your hair, a lot of that product gets transferred onto the plates of your hair straightener. Even if you don't use any heat protectant (which you should, BTW) the dirt and natural oils from your hair will end up on your hair tools. Not only is this extremely unsanitary, but it's also unhealthy. Just like you clean your skin to avoid clogged pores, you should be cleaning all of your hair tools as well. Cleaning them frequently not only increases their life, but it's also going to make your hair healthier. That ceramic plate hair iron you paid for is no good unless it's clean and healthy. A dirty, clogged up hair iron can end up dragging on your hair which will lead to breakage, split ends, frizzy hair and fly-aways. The hair straightener won't work effectively and it's almost as if you could have bought a cheap straightener with no benefits. Your hair iron probably has titanium, ceramic or ionic plates to protect and nourish your hair. But a dirty straightener won't allow your hair to reap any benefits from the plates! Don't get stressed though, cleaning your hair iron is not as hard as it sounds. Once or twice a month should be enough for happy, healthy hair. Needless to say, always clean the hair tools when they are NOT hot, and when they've been unplugged from the socket. Still wondering how to clean your hair iron? Dampen a microfibre cloth or a tissue with some rubbing alcohol and gently rub your tools. Repeat the process if necessary. And that's it! You're all set to use it again. If you don't have rubbing alcohol handy, you could use an unscented hand sanitizer too! 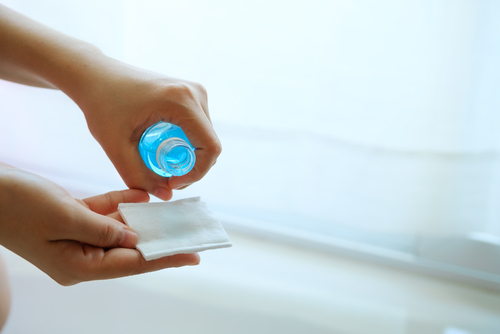 While rubbing alcohol is stronger than hand sanitizer, both disinfect and cleanse just as well.